The Best Pumpkin Hummus | Eat. Love. Namaste. If you haven’t noticed, I love hummus! 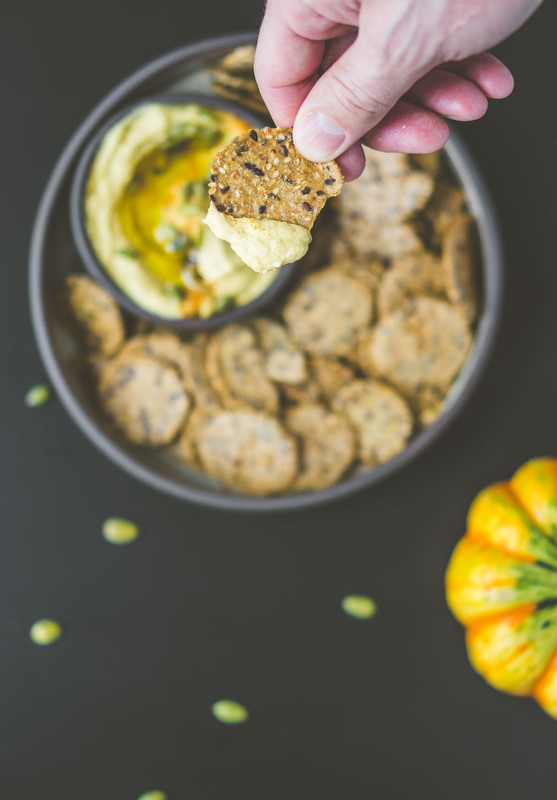 Since Fall officially starts this weekend, it was only fair to share a pumpkin hummus recipe on here! This past weekend, my friends and I went up to Ontario, Canada for the Niagara Grape and Wine Festival to try some new wineries and relax. On Saturday and Sunday, you can go to 8 different wineries and try a sample of their new or favorite wine and a food pairing. It was pretty neat and a cool experience, so if you are close to the area and enjoy wine, then this would be up your alley! We ended up going to a total of 10 wineries by the time our weekend was over, and I can’t say enough positive things about the wineries we visited. Most are family-owned, and the wine they create are a reflection of their values! The area where all the wineries are is also beautiful, so many vineyards insight! On Sunday, before heading home, we stopped at one last winery, and we all brought some healthy snacks to share. It felt like a relaxing picnic, but at the winery! 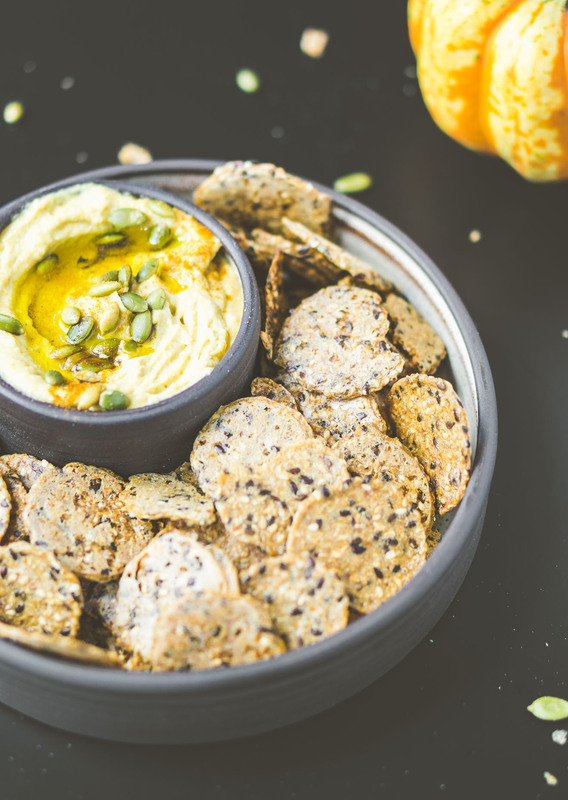 I ended up bringing this pumpkin hummus, along with my favorite crackers, Mary’s Gone Crackers, and it was an instant hit! This hummus is so creamy, flavorful, and delicious! So, so good! I hope you all love it! 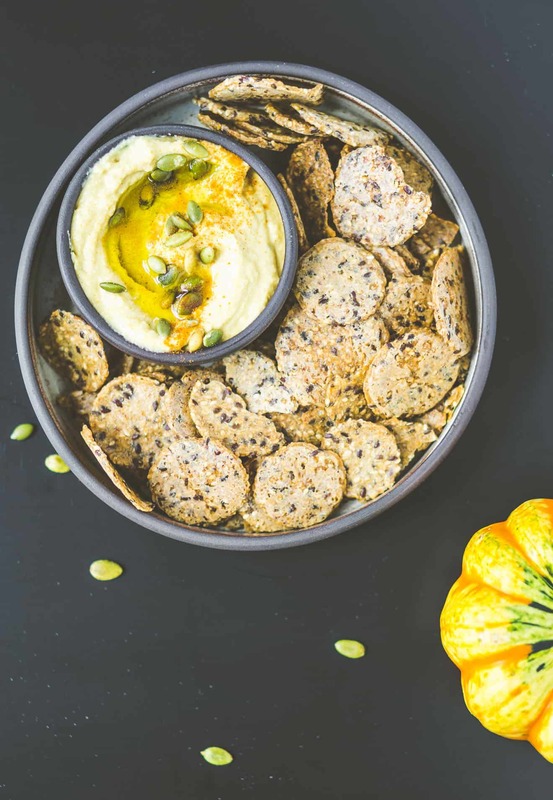 The best 10-ingredient Pumpkin Hummus! This hummus is super creamy, delicious, and flavorful, and is perfect for the fall! Preheat oven to 400 degrees Fahrenheit and carefully use a sharp knife to halve the pumpkin lengthwise. 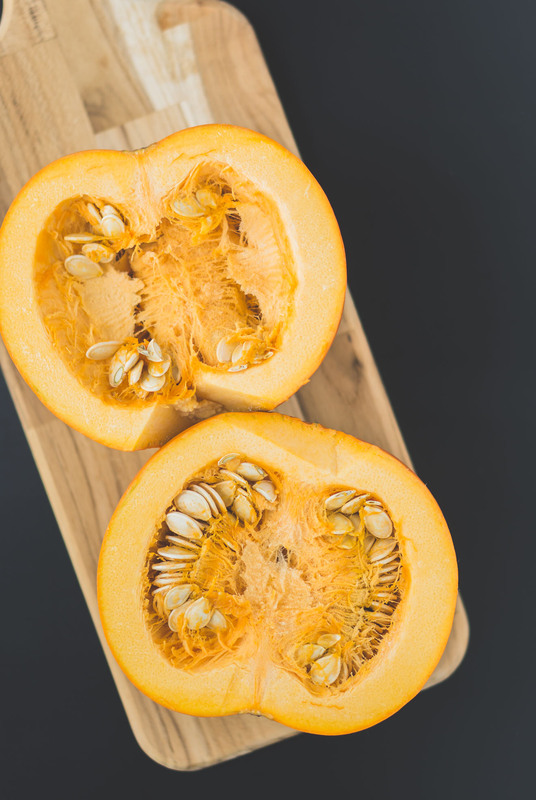 Scoop out seeds and place the halved pumpkins on a rimmed baking dish faced down with 1/4 cup of water, and cover with foil. Bake for 30 minutes covered, then remove the foil and bake for an additional 15 minutes, or until pumpkin is fork tender and golden brown on the edges. Set aside. 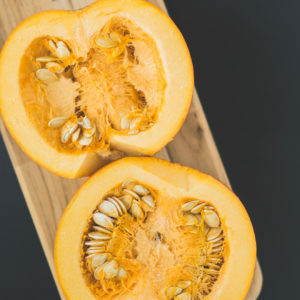 Add 1/2 cup of pumpkin purée (you may have leftover pumpkin based on how big the pumpkin is), garlic, tahini, chickpeas, lemon juice, oil, salt, pepper, and cumin to a food processor. Purée until creamy and smooth, scraping down sides as needed and adding more oil or maple syrup (for sweetness) if too thick. Taste and adjust seasonings. 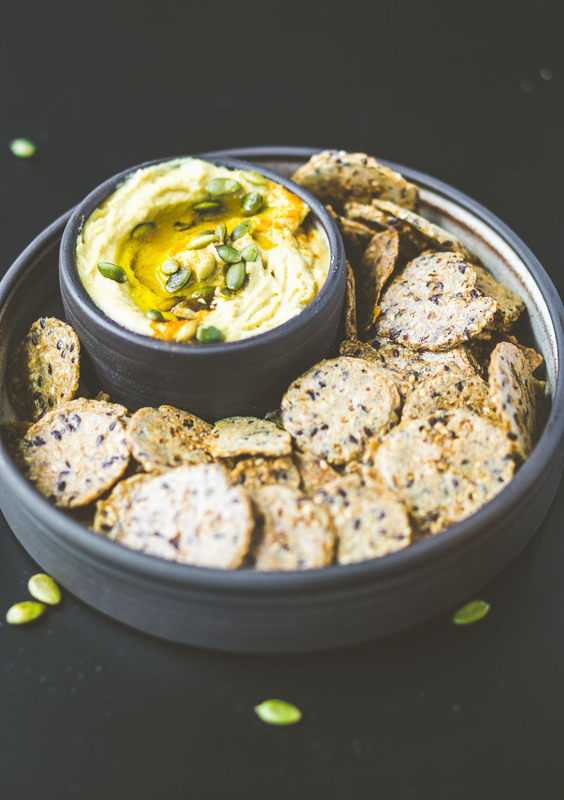 Top the hummus with pepitas, additional oil, and cayenne pepper, and serve immediately with crackers, veggies, and/or pita bread/chips. Store leftovers covered, in the refrigerator, up to 5 days.